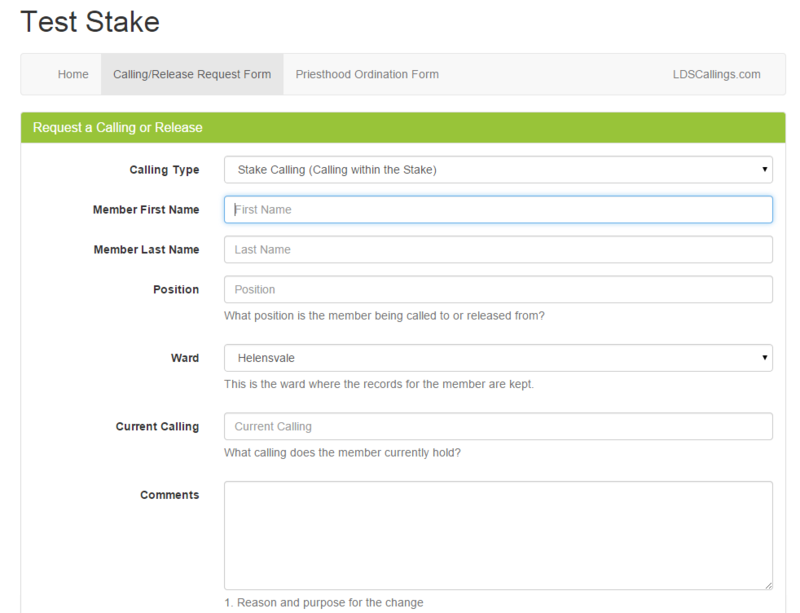 LDS Callings is a free calling request tracking program that will help you to manage the process of requesting and approving Stake and Ward callings and Priesthood ordinations. 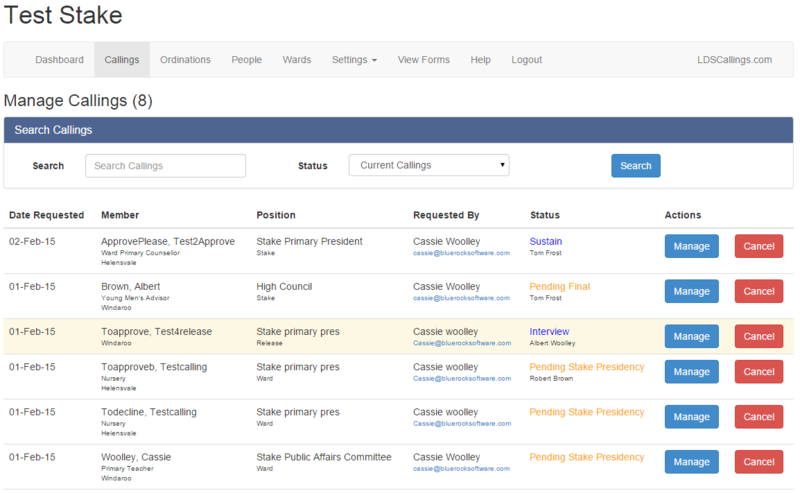 Easily see how many requests you have at each stage of the process. Search and filter requests by status. Easily see where each calling is at and who is responsible. 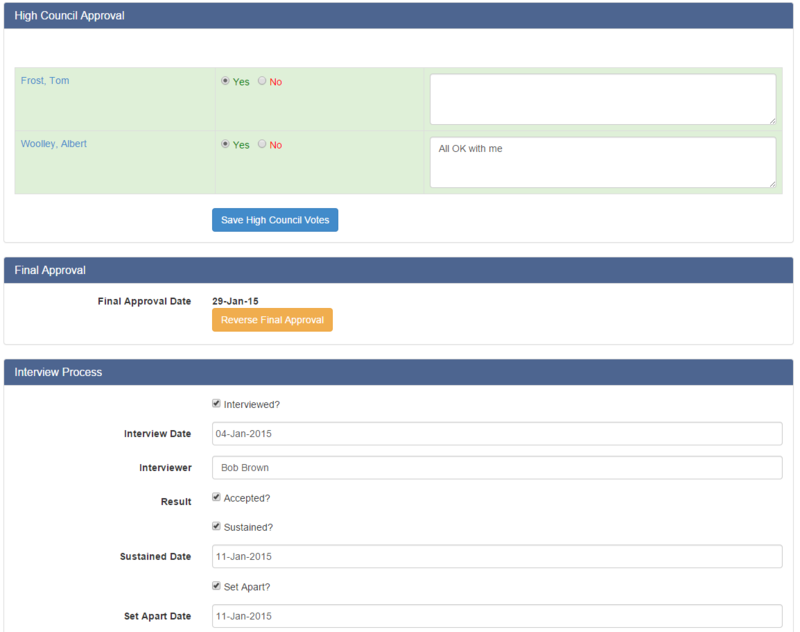 Keeps track of initial approval, High Council votes, final approval and important dates. The products (services) offered by LDSCallings.com are neither made, provided, approved nor endorsed by Intellectual Reserve, Inc. or The Church of Jesus Christ of Latter-day Saints. Any content or opinions expressed, implied or included in or with the goods (services) offered by LDSCallings.com are solely those of LDSCallings.com and not those of Intellectual Reserve, Inc. or The Church of Jesus Christ of Latter-day Saints.